If it's Monday, then it must be time for Mailbox Monday, a weekly meme that provides a virtual gathering place for bloggers (and readers) to share the books that came their way over the past week. Originally hosted by Marcia, of To Be Continued..., it has since become something of a book tour, with a new host each month. Adventurer Ethan Gage travels through the darkest and most superstitious realms of eighteenth century Europe, to the castles and caves of Bohemia to rescue his family and uncover a mysterious medieval device rumored to foretell the future. Having quick-wittedly survived the battle of Trafalgar, Ethan is rushing to rescue “Egyptian priestess” Astiza and son Harry from imprisonment by a ruthless mystic who seeks revenge for disfigurement, and an evil dwarf alchemist who experiments with the occult on Prague’s Golden Lane. Using death as his ruse, and a pair of unlikely allies—a Jewish Napoleonic soldier and his sutler father—Ethan must decipher clues from Durendal, the sword of Roland. Astiza uses her own research to concoct an explosive escape and find a lost tomb, their tormentors in relentless pursuit. 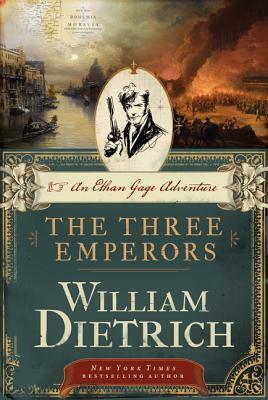 William Dietrich skillfully weaves intrigue and magic, romance and danger in a historical thriller that sprints from the fury of Napoleonic war to the mystic puzzles of Central Europe. What enigmas will the fabled Brazen Head finally reveal? Being a female bounty hunter, Coyote made men nervous. Being an official, she made them wary. But being the best gunman, or in her case, gunwoman around, Coyote made them downright anxious. The popular consensus was that women shouldn’t be allowed to be bounty hunters, but no one dared say this out loud when Coyote was around. No one knows where or when the rips will appear, but they do, and from them, Outlanders walk the earth. Coyote travels the territories with Caesar, her mysterious partner in the bounty hunter business, and together they confront these alien threats to humanity. Along the way, Coyote discovers a secret that threatens to shatter everything she believes about herself, her father, and her sworn enemy, James Westwood. Whether Outlander or inner demons, some things can't be solved with a six shooter. It's Monday! What Are You Reading? is another weekly meme, this time hosted by Book Journey. This one is focused on what books are spending the most time in your hands, as opposed to what's been added to your shelf. A darker, more dangerous book than the first, with some nice blurring of the narrative threads. Somebody described this to me as MacGyver meets Apollo 13 meets Castaway. Good enough for me! This one came advertised as Princess Bride meets Game of Thrones. Again, good enough for me! Chaucer, cryptography, royal intrigue, and a a prophetic book that foretells the death of kings. Cool. 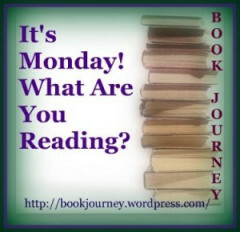 adventure fantasy post-apocalyptic sci-fi Stacking The Shelves suvudu western What Are You Reading? Wow. I really want both of those stacking the shelf titles. And I haven't ever heard of either. 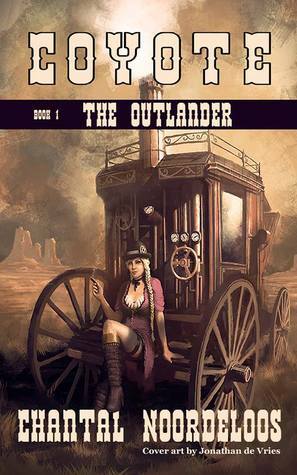 I really am starting to like fantasy set in the old west for some reason. I've been meaning to read the Ethan Gage novels for a long while, so I'm excited to finally dive in. Coyote was a nice surprise - I couldn't say no to it, especially with the 'second screen' content (extra storylines & background music) on the associated website. A very cool idea. I just finished Moth and Spark myself! I couldn't resist, with that gorgeous cover staring me in my face. I would say more Princess Bride than Game of Thrones, i.e. more heavily on the romance. I really liked it, looking forward to your thoughts. Nice books, they all sound interesting. Enjoy! they're new to me but I love the covers and synopsis, I'll have to check them out. Happy reading! Nice! These are new to me! Hope you enjoy them all! Awesome!!! I haven't heard of these but I should look into them. Hope you can stop by mine. I see some great books here in your mailbox! Have a wonderful reading ahead! I would definitely read a book advertised as Princess Bride meets Game of Thrones! I will have to check it out, it sounds amazing!